In the last year, we have worked on several Chelsea Construction projects in London. Chelsea and Kensington are areas that we particularly enjoy working in as the homes here have personalities of their own. Many of them are 3-4 storeys high and are characterised by high ceilings, large rooms and traditional features which need to be both preserved and modernised. There is therefore an increasing trend of installing contemporary conveniences such as underfloor heating, SMART systems, service elevators and air conditioning amongst others. In this article, we’d like to discuss the installation of home air-conditioning systems. Summers in the UK are becoming increasingly warmer. There has been a noticeable rise in the number of “unbearably hot” days in the last 5-6 years. 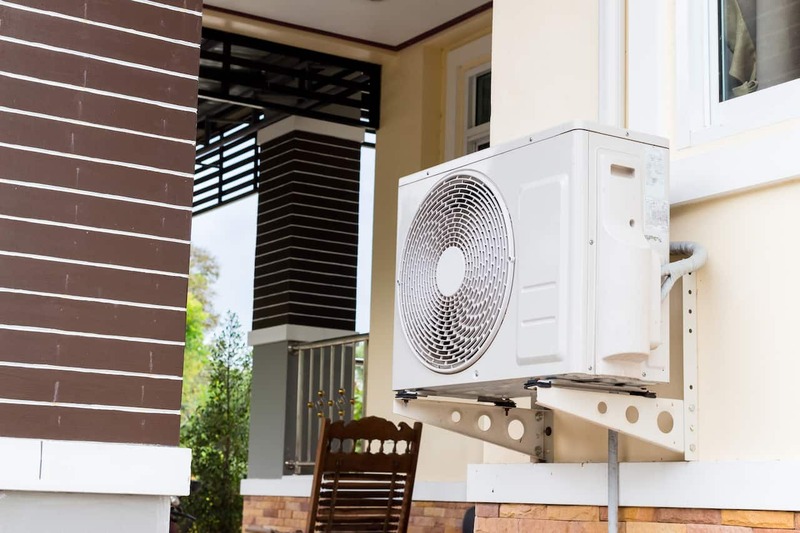 Whilst fans and portable cooling units have sufficed for most homes so far, the latest domestic air conditioning systems have made it possible to have your entire homes cooled through a central system. No doubt, these systems are more expensive than traditional one-room units, but not only are they more aesthetically pleasing, but they will add value to your property. 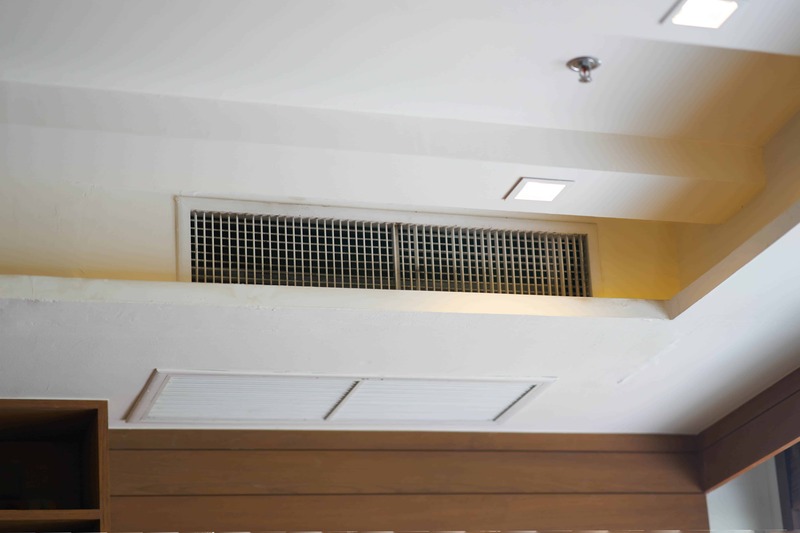 More discreet slim-ducted units can be positioned in the ceiling or housed in grilled boxes above cupboards or near doors, as is common practice in many hotels. The ducted units can also direct the air to more than one outlet through a number of ducts, with separate dampers in each duct for individual room control. These ducts must be insulated to avoid condensation. It is usually the ducted system that is installed in the homes we work on in Chelsea. Ducted air conditioning is the most efficient cooling system for homes on the market today. Ducted air conditioning works by funnelling cool air from a central unit (usually installed in your loft) through a series of ducts to every room in your home. The circulation of air is usually zoned, that allows you to control airflow, temperature and turning off any zones. This reduces the running cost and allows you to have the temperature of house where you are most comfortable. Ducted Air Conditioning Systems are more expensive than other A/C options but they are the most aesthetically pleasing. They can be used to cool multiple rooms; however, the downside is that you cannot have individual room control (unless you have multiple ducted systems). The ductwork and cooling unit(s) are hidden within a false ceiling or loft space, so all that you see is a small neat grille in the ceiling. Ideally, a ducted system should be installed when you are planning a complete home renovation or building a new home from a planning and layout perspective. However, it is just as possible to install these systems as a one-off project in your home. If you are thinking about installing air-conditioning in your home, please do give us a call on 0208 191 7595. We’ll be happy to advise you on what would work best in your property. If you are planning a complete refurb, do consider booking a FREE consultation via our website. One of our team will visit your property, discuss your needs and share our suggestions and recommendations.